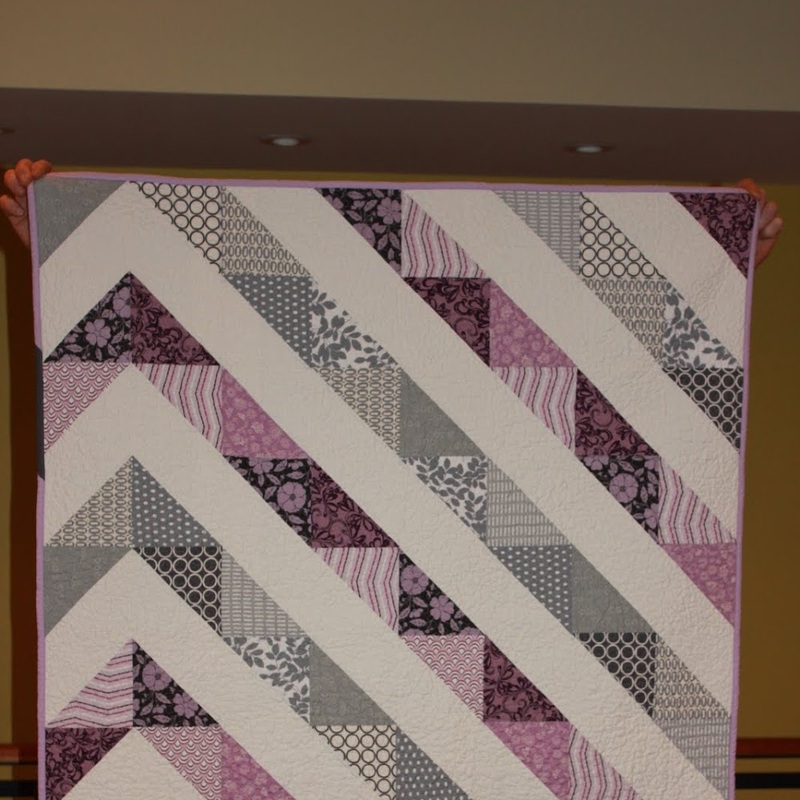 Back in 2012, when I was a relatively new quilter, I created a quilt for my cousin who was having a tough time. After I finished the quilt, I put all the remaining fabric together in a bag, thinking there was probably enough to make a second quilt. 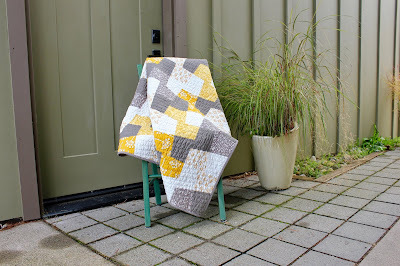 I've grown a lot as a quilter since I pulled together the first version. 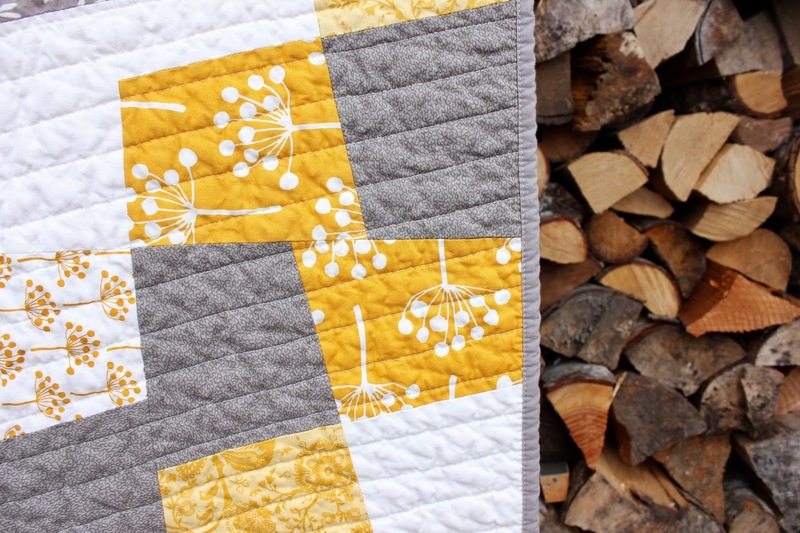 And although the new version really doesn't look that much different, I know the process this time was more thoughtful and the quilting more deliberate. This version has struck me as more mid-century modern ... taking me back to the cover the Highlights magazine we used to read when I was in elementary school. I ended up doing 1" straight-line quilting at a slight angle, which I was quite happy with. 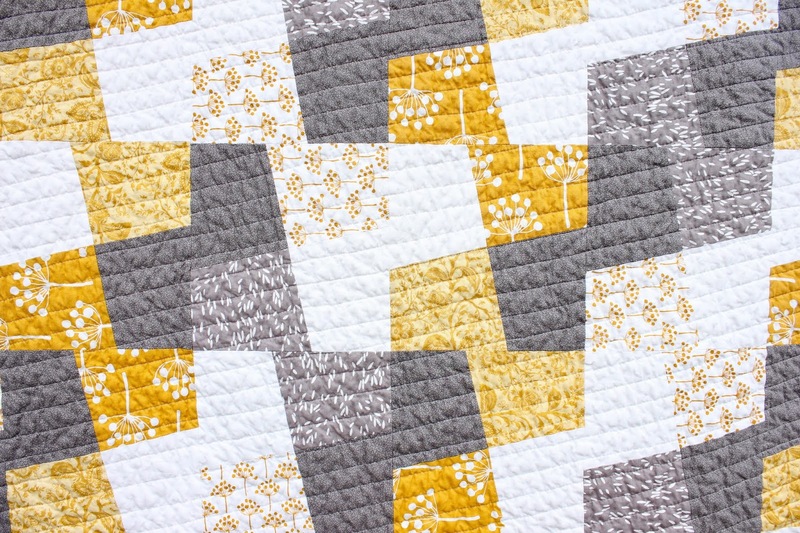 I would have liked to have gone a little denser, but have been using a bent paper clip taped to my walking foot as a guide and didn't feel it was sturdy enough to stand up to tighter quilting. Note: I have just purchased a guide to go with my Juki walking foot ... so hopefully this won't be an issue going forward. I will let you know. The prints were Lotta Jansdotter. When I thought I didn't have enough, I looked on line and found a single yard for $80 ... yup, there are people out there ready to gouge you ... because they can. In the end, I went with one less column, my OCD really wanted another one to make it balanced ... but I am good. I'm glad I got this one finished ... 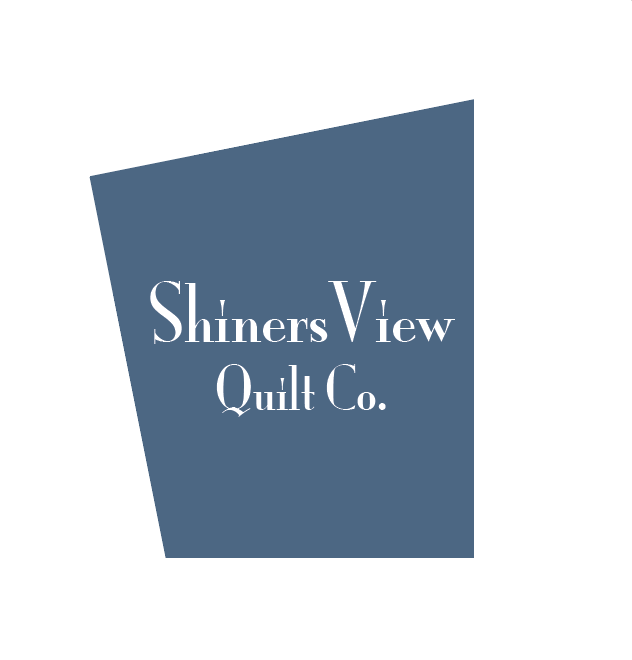 I have some ideas on new color ways that I believe will bring out the mid-century vibe and am looking forward to giving that a shot. At 68"x50" it's a generously sized lap quilt. UPDATE: You can now find the pattern for this quilt in my Etsy shop at Shinersview. That is beautiful, Lisa! 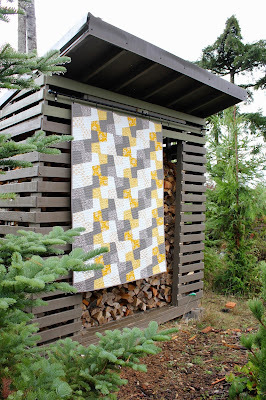 Great quilting, too! 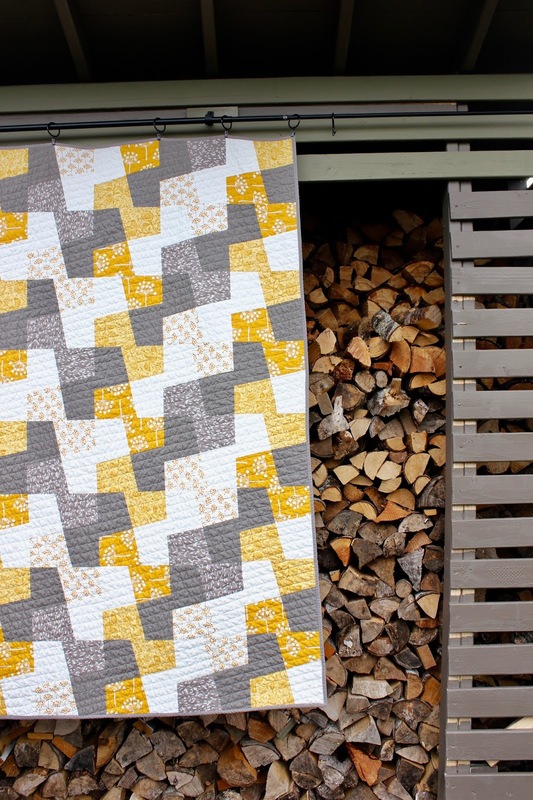 Love this pattern and the Lotta Jansdotter fabric. I might give this one a try!